Google will deliver the free webinar "An Introduction to Developing Vision Applications Using Deep Learning and Google's TensorFlow Framework" on January 17, 2018 at 9 am Pacific Time, in partnership with the Embedded Vision Alliance. The webinar will be presented by Pete Warden, research engineer and technology lead on the mobile and embedded TensorFlow team. It will begin with an overview of deep learning and its use for computer vision tasks. 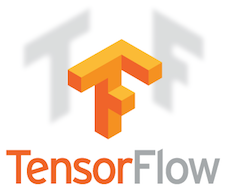 Warden will then introduce Google's TensorFlow as a popular open source framework for deep learning development, training, and deployment, and provide an overview of the resources Google offers to enable you to kick-start your own deep learning project. He'll conclude with several case study design examples that showcase TensorFlow use and optimization on resource-constrained mobile and embedded devices. For more information and to register, see the event page.